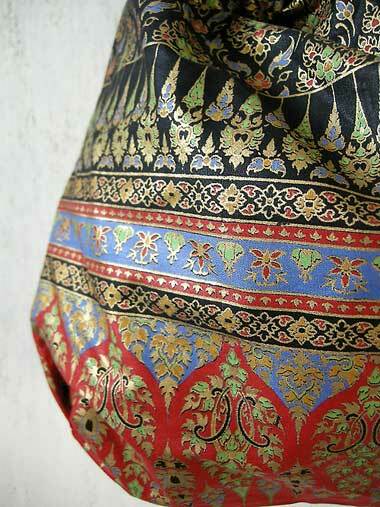 Ethnic shoulder bag, printed with traditional thai ornaments. 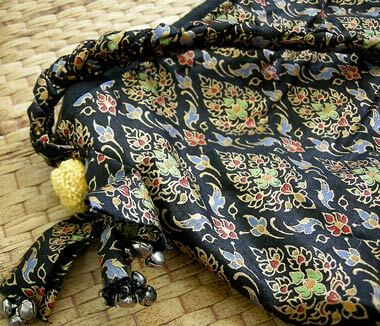 It has a braided sling which is decorated with small pompoms. Two small pockets in the lined inside. Zip on top of the bag. 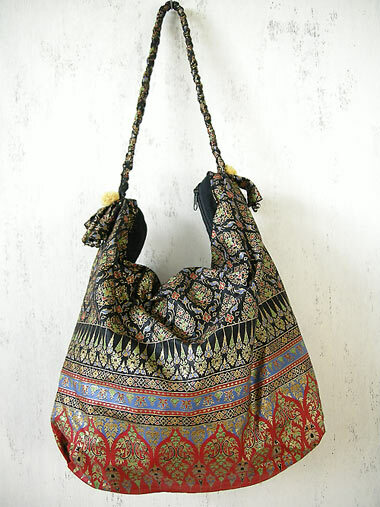 Body of the bag: 15 * 17 in (38.1 * 43.18 cm). Length of the sling (measured from top of the sling down to the top of the bag): 8 in (20.32 cm). Color: black, red, gold.